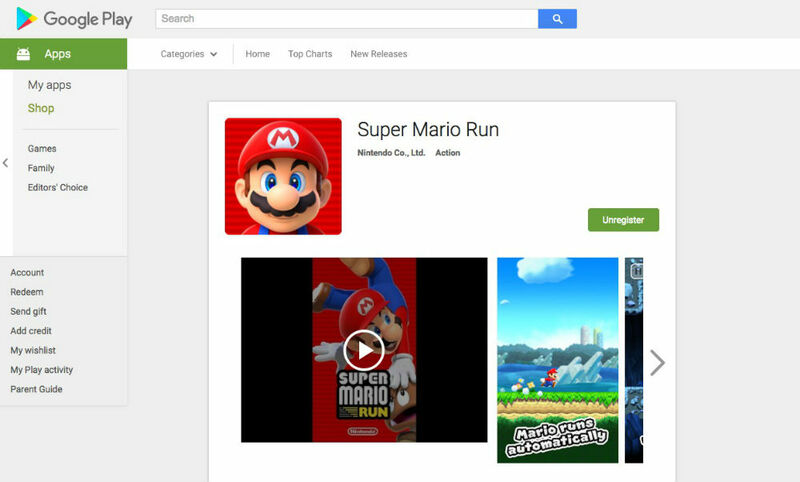 Pre-registration for Super Mario Run, Nintendo’s first real mobile Mario title, is now available for Android. With pre-registration, you will be notified as soon as the game is available for download on Android via Google Play. If you have somehow missed the news, Super Mario Run was announced by Apple and Nintendo at Cupertino’s last big press event. Since then, the game launched exclusively for iOS, but Nintendo did state quite clearly it would be made available for Android in the near future. In the game, which is a lot like Temple Run, you play as Mario in a typical platformer layout. However, instead of controlling Mario’s left and right movements, you only control his jump. As you run through levels, you hop over enemies, collect coins, mushrooms, and all that other good stuff. Reviews for the game on iOS websites are somewhat mixed, especially when you factor in the $9.99 price tag to unlock the full game. It’s Mario, though, so you know people will buy it. As Android users, we should be somewhat used to not getting cool things as early as iOS users, but these days, when Android marketshare dominates iOS across the globe, it’s hard not to take it a bit personally. In my mind, if a company wants to make big bucks right off the bat, you launch on both platforms simultaneously, allowing everyone to get their hands on the app while the hype is still around. If you don’t care to pre-register, don’t worry, we will let you know as soon as it’s available for download on Google Play.